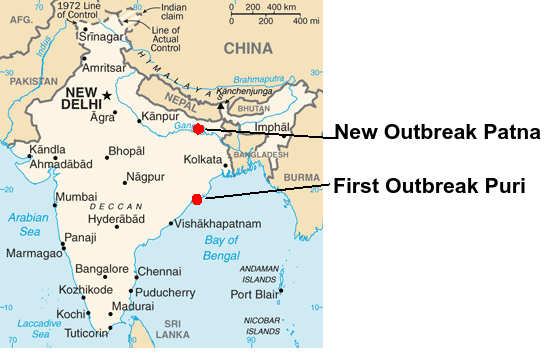 we looked at the recent resurgence of HPAI H5N1 activity in India, which has led to the closure of the Sanjay Ghandi Biological Park in Patna, Bihar. Today, local media are reporting two more bird deaths with confirmed H5N1 at this zoo, and expanded testing and surveillance in the region. In Bihar, two more birds died due to bird flu at Patna zoo. Earlier six peacocks died of H5N1 virus between 16 and 24 of December. The state government has issued an in view of bird flu and the zoo has been closed for an indefinite period. People have been asked to take precautions before eating chicken and egg. The lab test reports from National Institute of High Security Animal Diseases (NIHSAD) Bhopal and Regional Disease Diagnostic laboratory (RDDL) Kolkata have confirmed deaths of birds due to avian influenza (H5N1). A team of doctors from Indian Veterinary Research Institute (IVRI) at Bareilly in Uttar Pradesh visited the zoo and inspected the area. Under the ongoing serum surveillance, the experts of state animal husbandry department collected fresh samples of more than 400 birds including domestic and poultry birds in the 9 km radius of Patna zoo in view of bird flu. 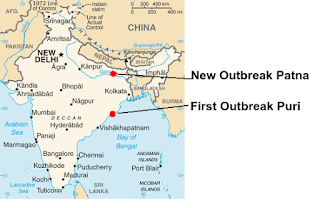 Despite heavy H5N1 activity in the India-Pakistan-Bangladesh region in the past, Bangladesh has only reported 8 human infections (1 death), Pakistan has reported 3 human infections (and 1 death), and India has reported no cases. These low numbers may not tell the entire story, however, as testing (and potential confirmation) of suspected cases wasn't always done - something we saw fairly often in the last decade - and we explored in depth 7 years ago in EID Journal: Unraveling Pakistan’s H5N1 Outbreak. 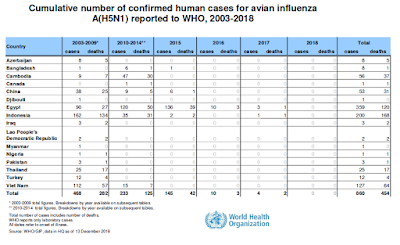 While this report expands the Pakistani H5N1 cluster size by 7 likely and 9 possible cases the official WHO count remains at 3 laboratory confirmed cases, and 1 probable (buried without testing). 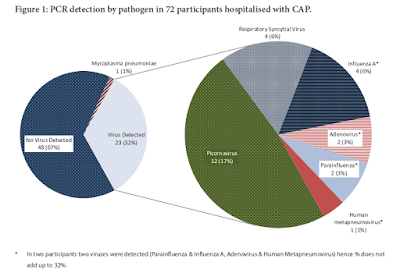 Despite these testing and reporting discrepancies, human infection from H5N1 on the Indian subcontinent appears far less common than in other regions of the world which experienced similar activity. The H5N1 virus (like all other flu viruses) continues to evolve (see Eurosurveillance: Emergence Of A Novel Cluster of H5N1 Clade 2.2.1. 2 and V. Sinica: HPAI H5N1 Clade 2.3.2.1c Virus in Migratory Birds, 2014–2015) and continues to increase in diversity around the globe (see chart below). Differences in virulence and transmissibility exist between these clades, subclades, and genotypes - and that may help explain some of the difference in impacts we've seen over time, and around the world (see Differences In Virulence Between Closely Related H5N1 Strains). While H5N1 strains have taken a back seat to H5N8 and H5N6 over the past couple of years, they continue circulate in Africa and parts of Asia, continue to evolve and adapt, and retain some degree of pandemic potential. All of which makes its recent revival something to keep an eye on.